In this article we are going to discuss about How to add google analytics to website or blog. As you know Google analytics is the most popular and best available traffic analytic tool available today. And best thing about this is its totally free. Google analytics can be used to get detail analytics on conversation rate, geographic locations, traffic sources and user behaviors of the traffic to your site. Google analytics is very useful in analyzing your audience and decide what your target audience and where they coming from and what are the other related pages that they generally interested in. Analyzing this kind of information will considerably help you to keep traffic within your website and also attract more traffic. 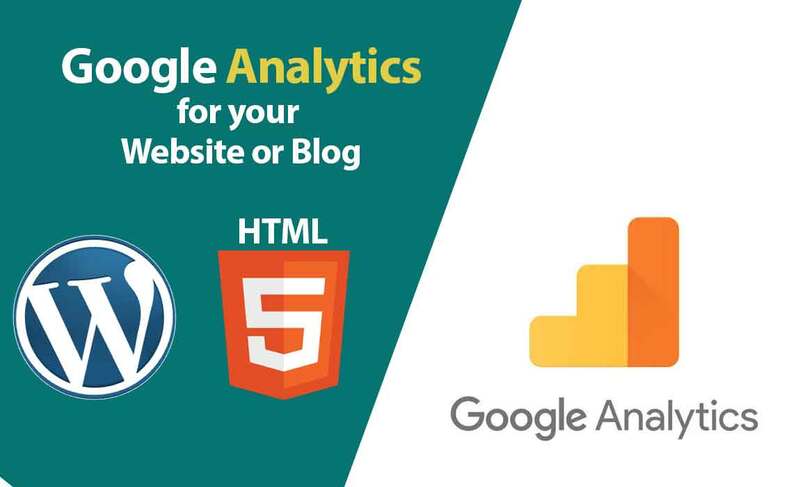 Now let’s see step by step how you can integrate Google analytic to your HTML or WordPress website. 2. If you are new to google analytics, sign up for a new google analytics. account. 3. After providing all required details of your website. You will be directed to the google analytics dashboard. Now select the property that you want to integrate analytics (your website is referred as your property). 4. After selecting the property, you want go to admin section in the left-hand side of your dashboard. 5. Inside the admin panel under Property select tracking info -> Tracking code to get the analytics tracking code. Then you get a code snippet that contains your tracking id. Copy this tracking code in to the note pad or any text editor you will need it later. Adding google analytics to html website is quite straight forward. Just copy and pate the google analytics code in to the html header tag. That’s it now you can get all analytics data from your google analytics page. Now you have to place this tracking code that you obtained in the previous step in to your website. As we discussed there are two ways of doing this if you are using WordPress. You can use google analytics plugin in your WordPress website or you can do it without any plugins also if you don’t like to add extra plugins to your WordPress website. Let’s take a look at these two methods step by step. Integrating analytics to you WordPress site using plugin is quite easy. First you need to install the MonsterInsights plugin. To install plugin, go to Plugins->Add new then search for MonsterInsights and install the monster insight plugin to your WordPress website. Then new tab called analytics tab will appear on your dashboard. Click on settings section in this analytics tab. 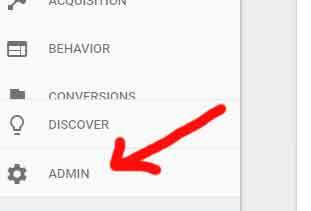 Now click on authenticate your Google account button to authenticate analytics with the plugin from your Google account. Remember to link the correct Google account that you have created earlier section. That’s it, now you can analyze traffic data through the analytics dashboard . you can also monitor analytics data from your WordPress dashboard. It’s better to use less plugins in you WordPress plugins as much as you can. Because using many plugins in your WordPress website might slow down your website. So, try to use less plugins as much as you can. Therefore I will show you how to integrate Google analytics without using the plugin as well. As mentioned in the previous sections also first you must have a Google analytics account to use this analytics tools. After creating Google analytics account login to your analytics account. select the property if you have already added it to your analytics account or Select add new the property in to google analytics account as mentioned in section 1 and get the tracking code for that property. In the editor panel. All the files of your website are listed in the right hand side corner. In that list select the theme header file. When you click on the theme header header.php file will be opened in editor. Now you can simply copy and paste the google analytics tracking code within the header tag. that’s it now saves the file and go back. Now you have successfully integrated google analytics on your WordPress website without using a plugin. You can monitor site analytics from the google analytics dashboard. thats how you can add google analytics to website or blog. Hope this article is useful for you all. If you have any questions please leave a comment and don’t forget to check out my YouTube channel. Thank you for dropping by.